Hello there, so I did managed to use the stencil that I cut from my new Cricut Explore - yay! I cut the Chevron Rectangle from cardstock and used it as a stencil to create a background with various TH Distress Inks and sponge daubers. The sentiment is from the Clearly Besotted A Little Sentimental set and it has been cut out using the Clearly Besotted You Said It dies. This has been popped up on the background with 3D foam and a few enamel dots added to finish. Hope you all had a lovely weekend. Thanks so much for visiting me today. Hope you have a good day! 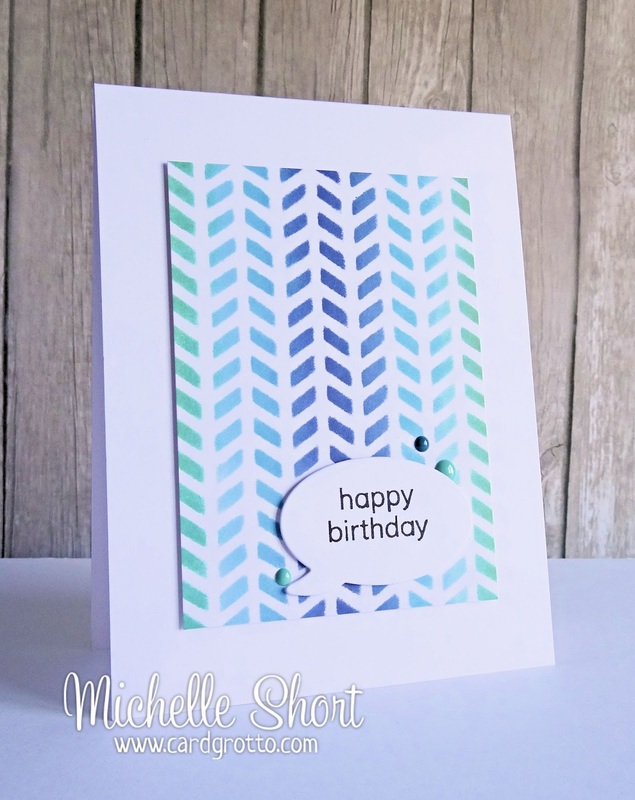 Such a fun card and how fun that you were able to make your own stencil. Absolutely gorgeous, love its colours & fresh look. Great card - now you've started with the Explore, there'll be no stopping you! Love it! I read your blog about the Explore but I am still on the fence about purchasing it - $300 is a lot to spend plus the extras involved. Still need to think about it abit more. Perhaps you can show us more about it. Beautiful card!! Love your Stencil!! 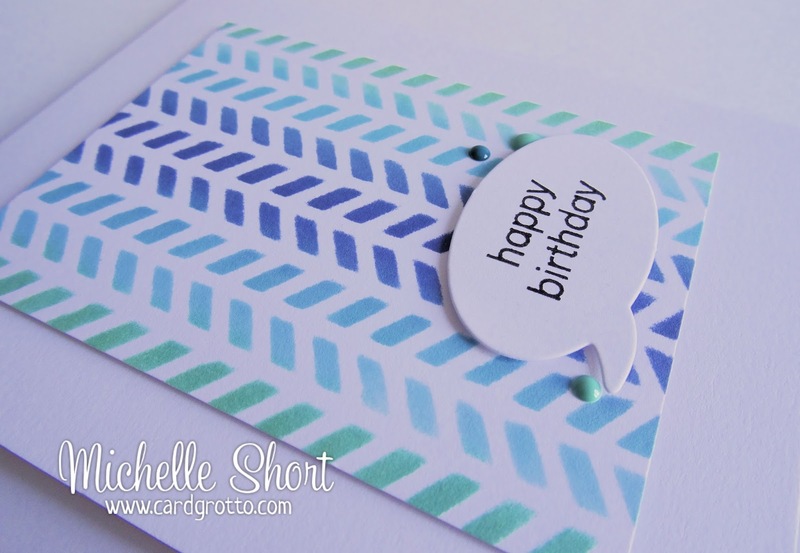 Wonderful clean and simple card! Beautiful color combination.